The TJNL giveaway for day 11 is from Lasting Impressions from Panache. 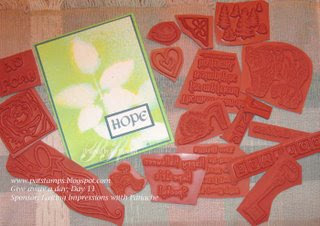 The lucky winner of this giveaway will receive all of the stamps shown above. Thank you to our friends at LIWP for their generous donation. To enter the giveaway for today, simply leave a comment on Pat's Blog Post letting her know that you would like to enter by 11:59pm EST on Friday, October 12.